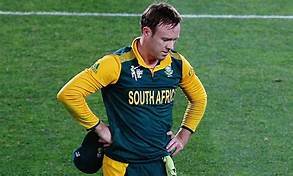 South Africa batting star AB de Villiers announced his retirement from international cricket with immediate effect. AB de Villiers announced the decision via a video message on his Twitter handle. “I’ve made a big decision today,” De Villiers’ tweet message said. “Hi, this is the Tux Cricket Club, the high-performance centre in Pretoria where 14 seasons ago I arrived as a nervous youngster when I was first called into the Proteas squad. Today, at the same place, I want to let you know that I have decided to retire from all international cricket with immediate effect,” De Villiers said in the attached video message. “After 114 Tests, 228 ODIs, 78 T20Is. It is time for others to take over. I have had my turn and to be honest I am tired. This is a tough decision. I have thought long and hard about it. I would like to retire still playing decent cricket. After the fantastic series win against India and Australia, now feels the right time to step aside. It would not be right for me to pick and choose where and when and in what format I play for the Proteas. For me in green and gold, it must be everything or nothing. 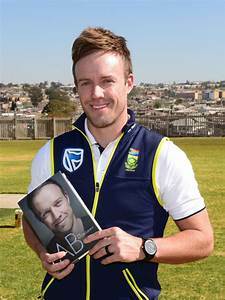 I will always be grateful to my teammates, coaches and the staff of Cricket South Africa for their support through all these years,” De Villiers said. He announced his decision on Twitter on Wednesday bringing to a close an International career that spanned 114 Tests, 228 ODIs and 78 Twenty20 internationals from which de Villiers scored over 20,014 runs. The 34-year-old bows out as South Africa’s fourth most successful Test batsman with 8765 runs at 50.66, second-highest run-getter in ODIs with 9577 at 53.50 and second in T20Is with 1672 at 26.12. He scored 22 Test centuries and 25 in ODIs, with a best of 79* in T20Is. AB de Villiers, who made his international debut in 2004 against England at Port Elizabeth, represented South Africa in 114 Tests, 228 ODIs and 78 T20Is. The right-hander has 8765 Tests, 9577 ODIs and 1672 T20Is runs to his name. In his 114-Test career, the South Africa veteran batsman has scored 22 centuries and 46 half-centuries at an average of 50.66. So guys, Will miss AB di or not? If yes, comment below the best innings of AB in below section. NEXT POST Next post: #HumFitTohIndiaFit Challenge: PM Accepts Virat Kohli’s Challenge, Watch Video! !